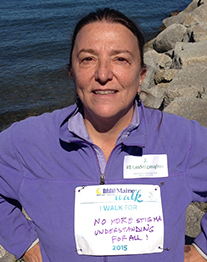 I walk for.. No more stigma..
On Sunday September 27, Fran joined hundreds of others at Spring Point Ledge Lighthouse, South Portland, Maine, for the 13th annual NAMI Maine Walk. 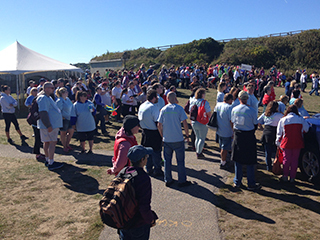 All were there to support the National Alliance on Mental Illness and to participate in Maine’s largest mental health celebration. My heart swells with appreciation and affection for all those who walked today.. Tears staining my face and giggles spilling over.. The joy of exhaustion for energy very well spent.. Continue walking in life only to love.. The event was covered for WCSH6 television. Watch the report and see if you can spot Fran! Meanwhile, on the other side of the Atlantic, Marty set off for an equivalent walk through Rickerby Park, Carlisle, in the north-west of England. We invite you to visit our Team Gum on My Shoe page to leave a message of support, and if possible a donation. Every little helps. Thank you. 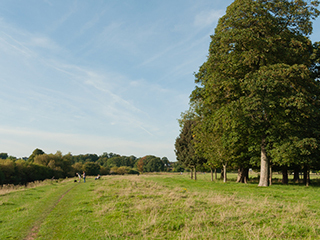 You can see more photos from both our walks on our Facebook page.